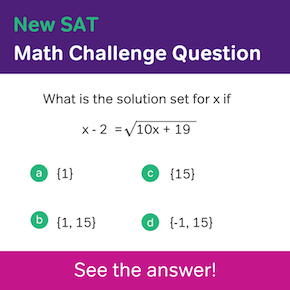 Note: This post has been updated to reflect changes in the SAT beginning March 2016 (aka the “New” SAT). 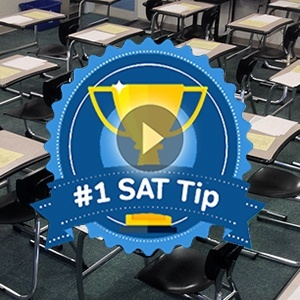 Okay, so picture this: it’s Saturday morning and you’re taking the SAT. You’re working on the Reading test, and you’ve got about 5 minutes left in the section. You think you’re golden; you’re just about to answer the last question on your last reading passage. 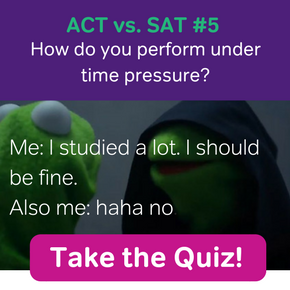 Then, after you bubble in your answer, you realize you’re screwed. On the next page, there’s another passage. 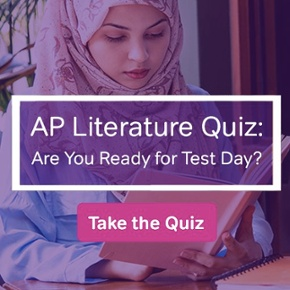 You’re not sure how you didn’t realize that before, but it’s going to be impossible to read it and get any of the answers before time’s up, right? Maybe this isn’t such a hypothetical situation for you… we’ve all faced moments of panic on a test when we realize the hourglass is quickly emptying out. But don’t let this paralyze you; instead you can switch gears to a special strategy that can greatly improve your chances of picking up some more points on SAT reading: speed reading. Alright, so I’m not going to tell you you’re going to read this post and come out a speed reading master. And I’m not going to recommend any courses, videos, or software that does promise you that, because I have a hard time believing that anybody’s going to go from reading 200 words per minute to reading 500 words per minute and keep their level of comprehension. And I think this guy is a charlatan. That being said, there’s something to be learned from the common speed reading wisdom. First off, don’t reread. Minimize it, at least. Your goal is to get the structure and key information from the passage, not to understand every detail perfectly. Secondly, try to see larger chunks of text at once. You should be looking at sentences—or at least significant chunks of sentences—not at individual words. SAT readings tend to have the main point in the first paragraph, so read that paragraph more carefully. Each paragraph is also going to have one more important idea, and that’s more often than not brought up in either the first or last sentence of the paragraph. So then, read the first paragraph (or two if they’re really short) at your normal, comfortable pace. Make sure you really absorb that one. Keep that pace for the first sentence of the next paragraph, but then speed up. If your comprehension goes down a bit, that’s alright. You’re on the lookout for the main ideas of each paragraph—not the details. Once you get to the end of the paragraph, slow down again. Read that last sentence or so more carefully, looking for hints about the main point of that paragraph. After you finish the paragraph (having only skimmed the middle of it), ask yourself questions. “What did the author want to communicate? How did it relate to other paragraphs?” and note it down. Once you have that overview understanding, move right on to the questions. You’re going to do a lot of rereading as you answer them, and that’s the time to pay attention to detail—especially if the question is asking you about specific lines of text. That’s why you don’t want to reread while you’re going through the passage the first time. You’re going to see the important parts again anyway. Because the SAT is standardized, there are a lot of similarities between passages. They’re on similar topics, are from similar eras, and use pretty common vocabulary and typical grammar. The best way you can get comfortable with that language and those topics is to get exposed. Do you have any specific annotation techniques that would help test takers answer the questions easier and faster? Do you mean note-taking techniques? If so, Lucas has put together a really good set of techniques for taking SAT notes more quickly and more effectively.